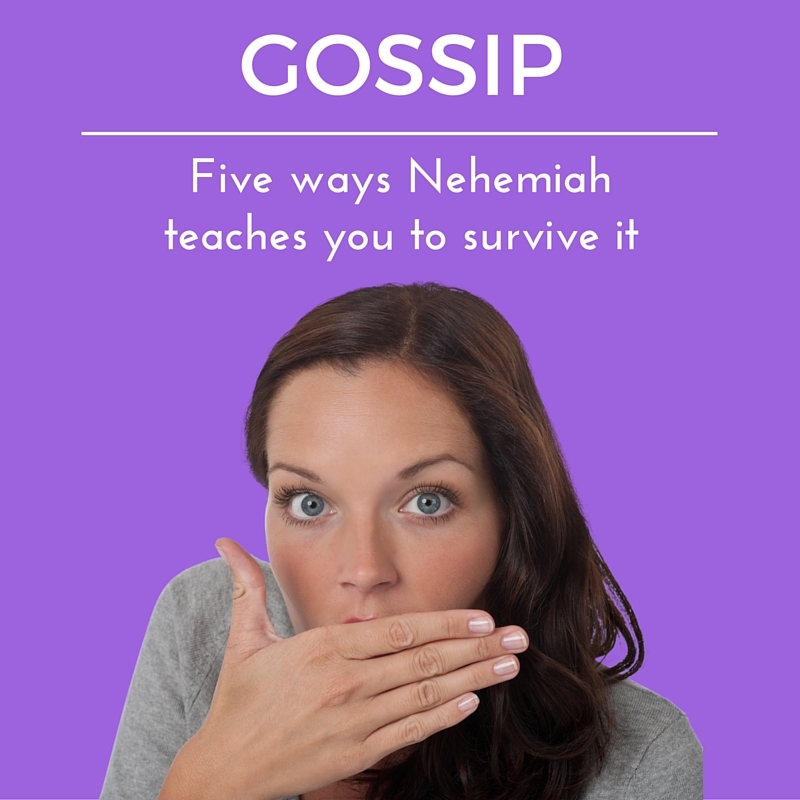 Gossip, Five Ways Nehemiah Teaches You To Survive It. Gossip can eat you alive; particularly, if you’re a leader. But, gossip is nothing new. Nehemiah, a lesser known figure of the Bible, stayed heroically faithful in the face of malicious opposition. You can learn much from his example. If you don’t recall who Nehemiah was, he was a high official in the court of King Artaxerxes I, a Persian king. Nehemiah sought permission to go back to Jerusalem to rebuild the city and it’s walls. 1) Don’t allow gossip to distract you from God’s work. These men were lying about Nehemiah, telling people that he was trying to begin a rebellion. He knew they meant him harm There was no value in meeting with them. Gossips, if you allow them, will draw you away from God’s work. Every minute you spend fighting what they are doing, is a minute that could be used positively for the kingdom. Limiting interaction with gossips to a minimum is best. My experiences has been that when you do meet with them they will often twist what is said only to spread more malicious gossip. When a lie is rampant let people know the truth. You cannot control whether people will believe you or not. You can only report what is true and trust God to eventually bring to light that truth. 3) Ask for God’s strength, so you don’t become defeated. Gossip can make you fearful, angry, sad, or feeling isolated. Those feelings can shut you down. They can cause you to act in ways you will regret. The remedy for this emotional malady is to pray for God’s strength. God’s strength prevents you from being dissuaded from doing His will. His strength also, prevents your emotions from dragging you into actions you regret. You don’t need a big long elaborate prayer. Just cry out for His strength and He will provide. 4) Surrender the fate of gossipers into God’s hands. I find Nehemiah’s prayer fascinating. I tend to ask for God to help me to forgive my enemies. Doing so actually keeps your heart and mind focused on the problem. I have learned instead to pray for God’s well-being for them. Nehemiah though does something entirely different. He essentially surrenders his enemies into the hands of God. He doesn’t request God doing anything in particularly. He basically says, ‘God, don’t forget what these people have done and the harm they intended.’ He leaves the rest in God’s hands. In some ways, Nehemiah lets go of the situation entirely and trusts God to deal with it as God sees fit. What faith that must take. 5) Understand and accept the fact, that some people will never give up gossiping. Once the wall was completed and many recognized that it was God at work, Tobias continued to stir a pot of fear and hatred. He sent ‘many letters’ to try to ensnare people with lies. He continued to try to intimidate Nehemiah even after the wall was completed. Some people will never give up. Note in verse 19, many kept reporting to Tobias Nehemiah’s good deeds and yet he refused to listen. Some people will hate you unjustifiably and lie about you no matter how much evidence points to the fact that you are faithfully serving God. This is one of the most heart-crushing realities; particularly, for christian leaders. You can’t control the effects of gossip. Some people will believe the lies. Some people will never give up on trying to hurt you. However, you can control your response. Keep to God’s work. Engage the gossips as little as possible. Ask for God’s strength and surrender those who speak harmful against you into God’s hands. If you are afflicted with gossip right now, take a moment and pray. Pray for strength. Pray for God to remember your adversaries works. And then — Let Go! Lastly, one of the reasons Nehemiah could stand steadfast against gossip was that he clearly new what his mission was. God had filled his heart with a concern for his people. God had given him gifts to organize and enlist people needed to build the wall. And, God gave him a vision of the outcome needed; specifically, a restored Jerusalem. Nehemiah, stayed focused on what mattered to God for his life regardless of what people were saying. He did not allow gossip to distract him from God’s work. But, what if you don’t have a clear godly focus for your time and energy? What if you don’t know your purpose. Then, the expectations of other people will become your focus jerk your life around in painful ways. Do you know your purpose? 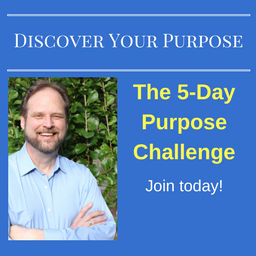 If not then check out the free training below that you can use to discover your purpose rapidly. God doesn’t want you to live just a pain free life, but a fruitful life. God didn’t want Nehemiah to only be free from intimidation. God had a job for him to be a blessing to his people. You too have been blessed to be blessing, but are you? Or, are you just trying to get through each day, stamping out fires, and stressed about what’s next. Don’t wait any longer. Discover why God made you so you can enter the joy of unleashing your gifts to make a profound difference.